2019 CASH CALENDAR NOW AVAILABLE! OVER $20,000 IN CASH PRIZES TO BE WON! A WINNER EVERY DAY OF THE YEAR. 4,000 CALENDARS PRINTED. THE MONEY IS RAISED IN OTTAWA AND SURROUNDING AREA AND STAYS IN THE SAME AREA. FUNDS SUPPORT COMMUNITY PROGRAMS THROUGHOUT THE REGION. 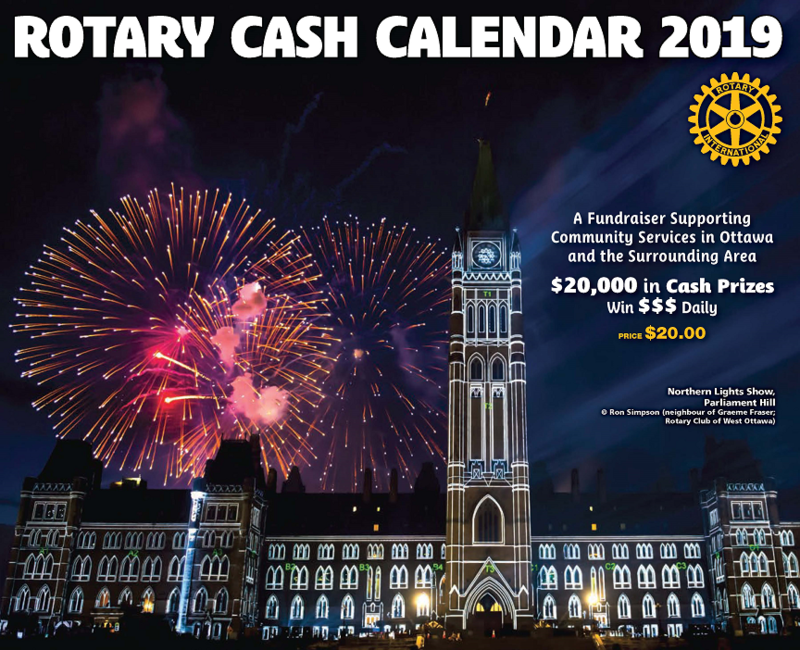 The Rotary Cash Calendar 2018 represents a partnership between the Rotary Clubs of Ottawa and the surrounding areas to raise funds for local community programs. 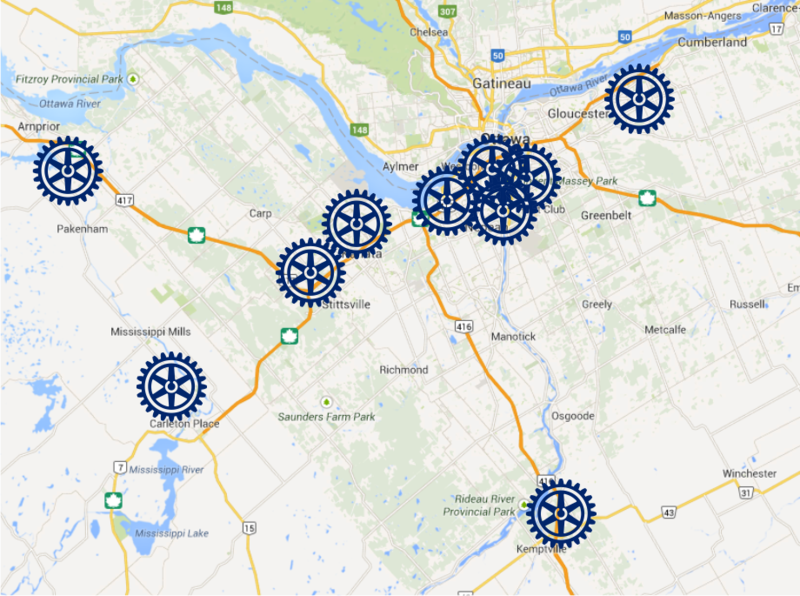 sales of the ottawa Rotary Cash Calendar HAVE BENEFITTED the Ottawa Rotary Home, the Dave Smith Youth Treatment centre AND MORE. The Ottawa Rotary Home's Children Respite Programs are open 7 days a week, 356 days a year (we are closed over the Christmas Break). Children and youth up to their twenty-first birthday, who have a neuromuscular or musculoskeletal disability generally restricting their mobility, have access to our Regular Planned Relief program or general respite bookings. We also have a program specifically for children up to their eighteenth birthday, who have a complex medical need and are technologically dependent requiring nursing supports. The Adult Respite Program supports adults after the age of 21. Since 2009 over 120 adults have accessed respite at our Leitrim campus and the numbers continue to grow. However the program does not have annualized government funding so we rely on fundraised dollars and the generosity of corporate partners who believe in our mission. When your family member stays in our Adult Respite Program, they are supported in a barrier free environment, with qualified, competent, talented employees who help make this an enjoyable stay for your family member.